I'm fairly particular about font rendering on my PC. 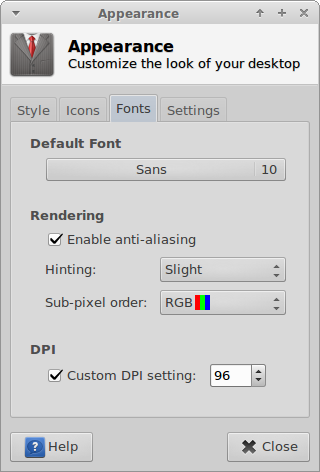 In Ubuntu, my fonts always rendered nearly perfect, in my opinion right out of the box. 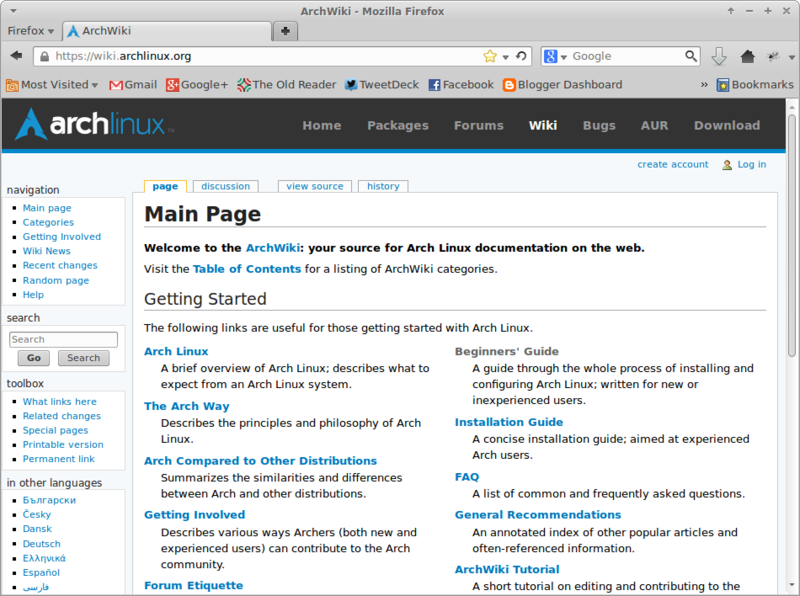 In any other distro, I have to do a little tweaking to get things just right. I didn't have to do a lot to get my fonts beautiful in Arch, and I thought I would document here, in hopes it may help someone else. Remember, font rendering is a very personal thing, and what I like may look horrible to you. Be sure to check out the Font Configuration Page on the Arch Wiki for more suggestions and possible configurations. First, my goal was to see how good I could get my fonts before relying on patched packages from the AUR. 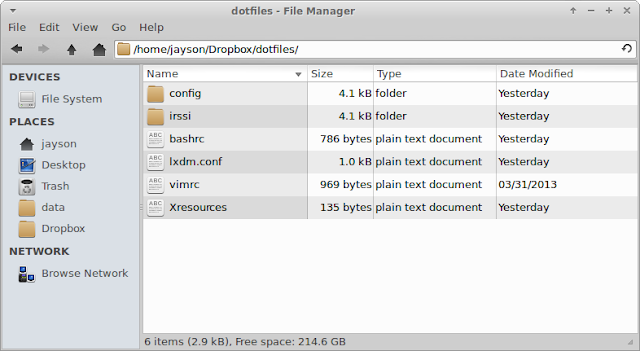 Although there are Infinality and Ubuntu patched packages available there, I wanted to stick with as few AUR packages on my box as possible, and I had read that freetype2 had been improved upstream recently, so I wanted to see how they would look with solid configurations using the default packages. (I'm sure it doesn't need to be in both places, but I put it in my $HOME so I can sync to my dotfiles repo easily). Ultimately, I was extremely happy with the results and felt no need for external patched packages. Here are a few more screenshots to give you an idea of how the fonts look in various applications. There you go! Maybe these settings will help you, and if not, be sure to explore the Wiki - there are tons of configuration options available. Your settings look great to me. Thanks! Very nice. Quick and simple. Worked for me. Thanks a bunch. Thanks a lot for this awsome post ! 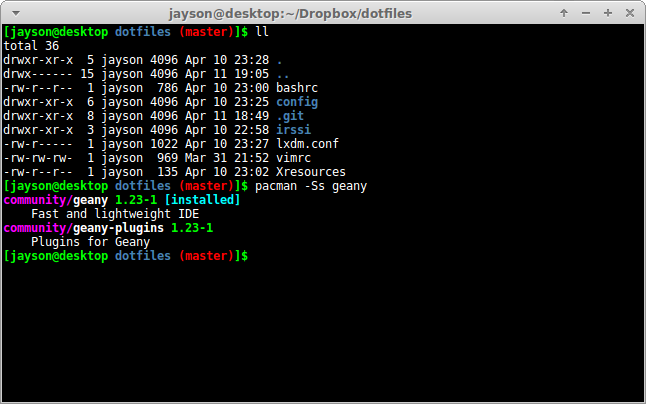 How to make the terminal be colored so? Okay. I am reading about it. I thought there was a facilitator package.